BEIJING: A Chinese firm has developed a laser gun designed for police use that can set fire to protesters’ hair or banners from a range of almost one kilometer. “The weapon is designed to do things such as setting fire to illegal banners at a protest or setting fire to the hair or clothing of a protester,” he said. 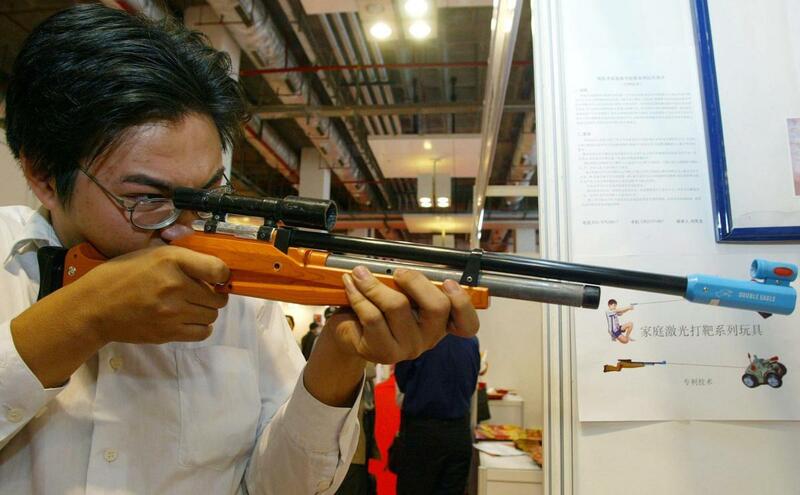 “It is not designed explicitly for killing like a gun that uses bullets and cannot cause the ‘instant carbonization’ of human skin and tissues,” he added. The 15-mm caliber weapon weighs three kilograms (6.6 pounds), has a range of 800 meters (2,600 feet) and can pass through glass and other transparent obstacles. It is “mainly expected to be for Chinese police use,” the manager said. He said it would need to be upgraded to a “laser cannon” — with increased power — to become lethal and confirmed his firm was working on such a weapon. Some experts were skeptical of the unveiling, saying laser weaponry was still a matter of science fiction. “The power required to set a person aflame instantly from half a mile away is truly huge,” the website stressed. Development of such laser weapons is not limited to China, with all the big defense players in the US working on prototypes for the Pentagon. Last year, Lockheed Martin announced a 60-kilowatt laser weapon that is invisible to the naked eye and will be deployed against mortars and small drones.